Bruce Lee flashed like a meteor through the world of martial arts and motion pictures. On July 20, 1973, the iconic figure died in Hong Kong at the age of 32. He starred in several classic martial arts movies, including The Big Boss, Fists of Fury, Enter the Dragon, and Way of the Dragon. Originally published in 1963, this book includes personal testimonies regarding the author and his art from James Y. Lee, the legendary Ed Parker, and jujutsu icon Wally Jay. Through hand-drawn diagrams and captioned photo sequences, Lee’s text comes to life as he demonstrates a variety of training exercises and fighting techniques. Topics include basic gung fu stances, waist training, leg training, and the theory of yin and yang. The re-edition of Bruce Lee’s original thoughts on kung fu offers martial arts enthusiasts and collectors exactly what they want: more Lee. Featuring digitally-enhanced photography, new pictures of Lee from a lost session and an original essay in Lee’s handwriting, Chinese Gung Fu still maintains its position as a timeless work by one of martial art’s greatest masters. 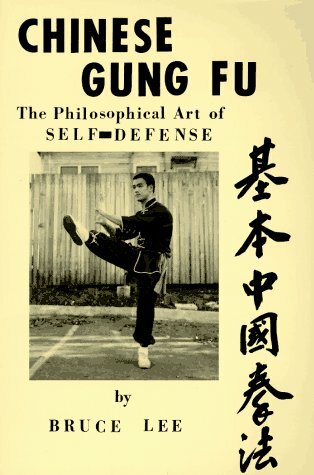 Item Reviewed: Chinese Gung Fu: The Philosophical Art of Self-Defense - Bruce Lee 9 out of 10 based on 10 ratings. 9 user reviews.